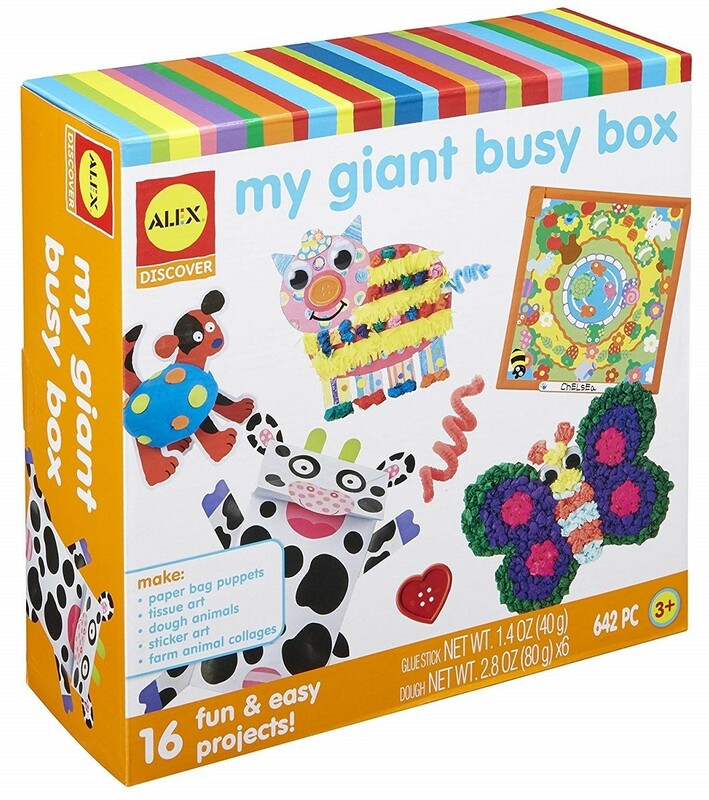 The Alex Toys My Giant Busy Box is 6 great projects in one giant box of fun. 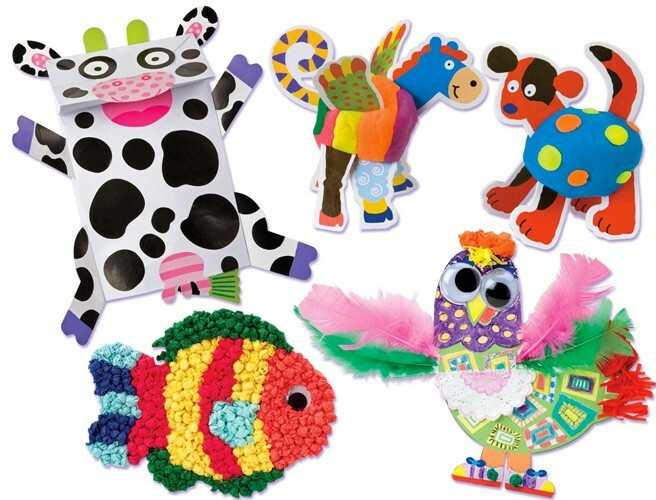 Make dough animals, a farm collage, and sticker art. Create paper bag puppets and tissue art pictures. 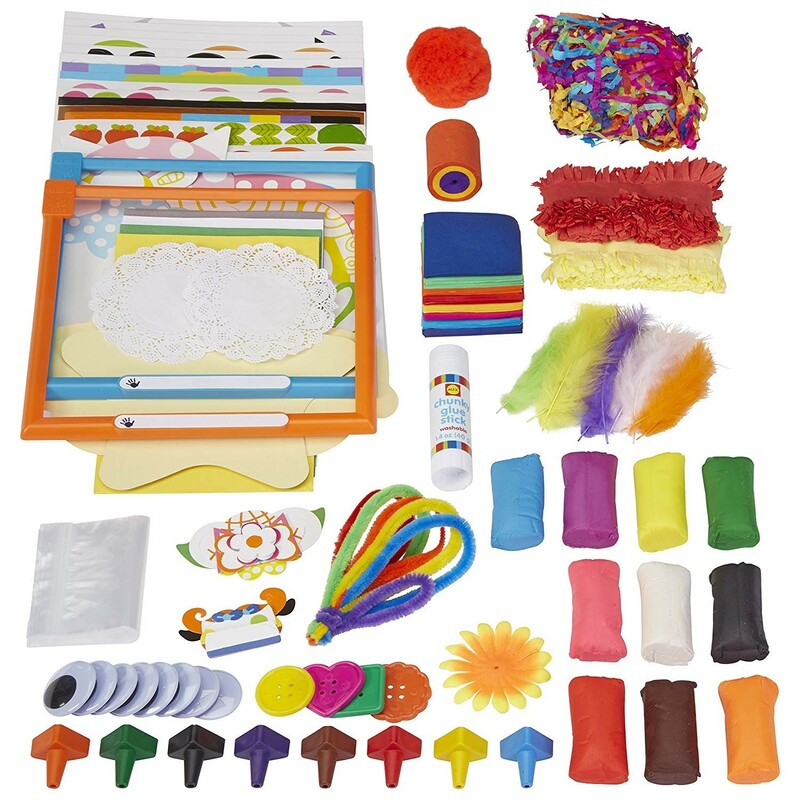 This includes two plastic frames, four animal punch outs, and ten colors of dough, two peel and stick tissue art pictures, tons of tissue paper, glue, and easy instructions. It comes in a reusable box with a woven handle. 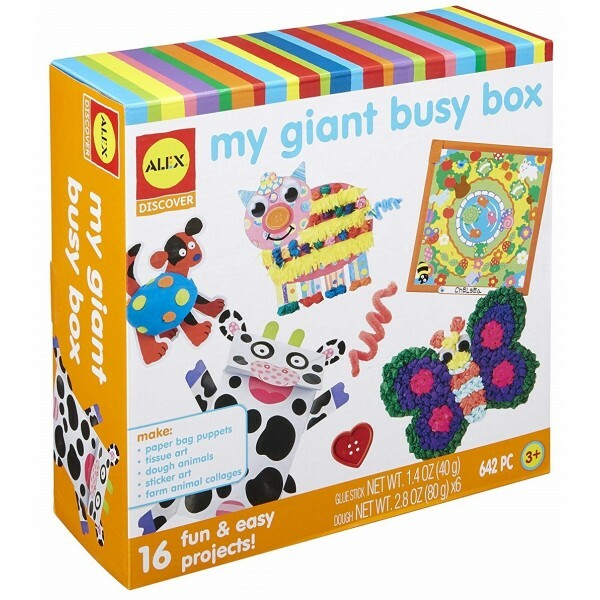 For more arts & crafts kits for all ages, visit our Arts & Crafts section.